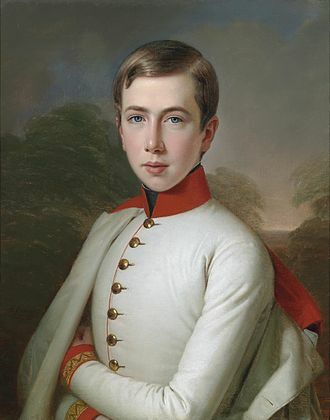 Archduke Ludwig Viktor of Austria (Ludwig Viktor Joseph Anton; 15 May 1842 – 18 January 1919) from the House of Habsburg was the youngest son born to Archduke Franz Karl of Austria and Princess Sophie of Bavaria and younger brother of Emperor Franz Joseph I of Austria. 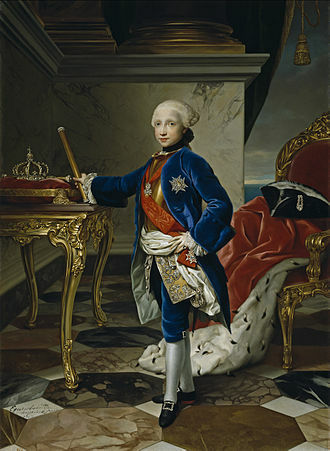 He was born in Vienna shortly after his sister Archduchess Maria Anna had died at four years of age, followed by a stillborn brother. 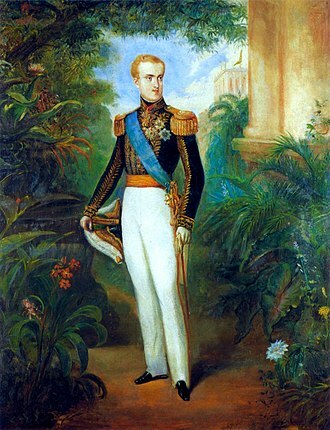 His elder siblings included Emperor Franz Joseph, Emperor Maximilian I of Mexico and Archduke Karl Ludwig. 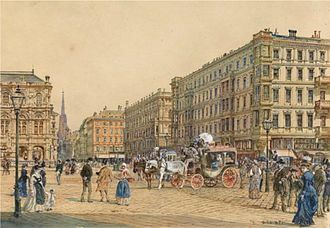 During the Revolutions of 1848 and the Vienna Uprising, pampered "Luziwuzi" with his royal family had to flee the Austrian capital, at first to Innsbruck, later to Olomouc. Ludwig Viktor pursued the usual military career and was appointed General of the Infantry, but had no intentions to interfere in politics. 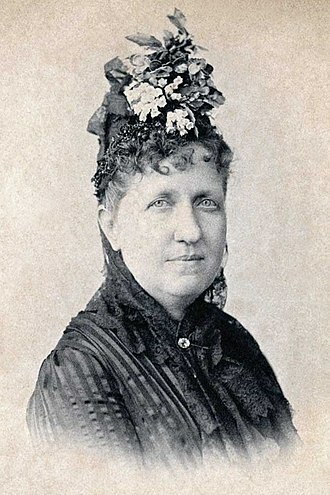 He rejected his brother Maximilian's ambitions in the Second Mexican Empire and especially plans to marry him to Princess Imperial Isabel, daughter of Emperor Pedro II of Brazil. 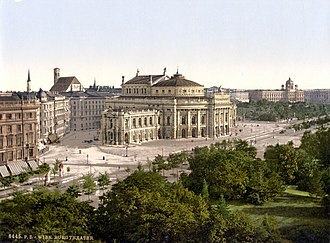 Instead he concentrated on building up his own art collection and had a city palace erected on Schwarzenbergplatz Palais Erzherzog Ludwig Viktor in Vienna according to plans designed by Heinrich von Ferstel, where he hosted homophile soirées. 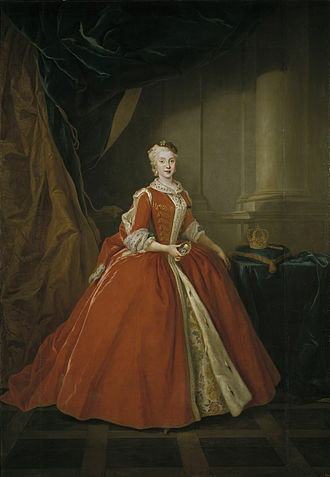 Despite his mother's attempts to arrange a marriage for him with Duchess Sophie Charlotte in Bavaria, youngest sister of Empress Elisabeth, he remained a bachelor all his life. 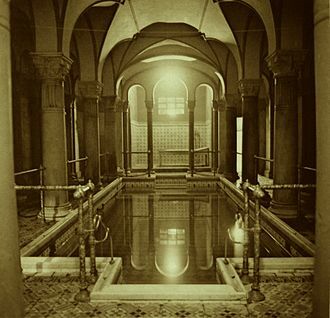 As a result of his very public homosexuality and transvestitism, culminating in a brawl at the Central Bathhouse Vienna, his brother Emperor Franz Joseph finally forbade him to stay in Vienna. The same emperor joked that he should be given a ballerina as adjutant to keep him out of trouble. Ludwig Viktor retired to Klessheim Palace near Salzburg where he became known as a philanthropist and patron of the arts. He died in 1919, at the age of 76, and is buried at the Siezenheim cemetery. 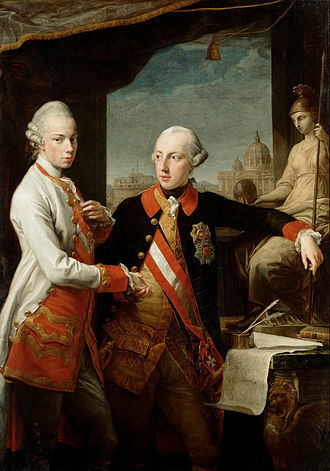 He was the last surviving grandchild of Francis II, Holy Roman Emperor. ^ Kastl, Robert. "Gay and Lesbian Life in Vienna". Archived from the original on 2007-09-27. Retrieved 2007-06-25. Salzburg is the fourth-largest city in Austria and the capital of the federal state of Salzburg. Salzburgs Old Town is internationally renowned for its architecture and is one of the best-preserved city centers north of the Alps. It was listed as a UNESCO World Heritage Site in 1997, the city has three universities and a large population of students. Tourists visit Salzburg to tour the historic center and the scenic Alpine surroundings, Salzburg was the birthplace of 18th-century composer Wolfgang Amadeus Mozart. In the mid‑20th century, the city was the setting for the musical play, traces of human settlements have been found in the area, dating to the Neolithic Age. The first settlements in Salzburg continuous with the present were apparently by the Celts around the 5th century BC, around 15 BC the Roman Empire merged the settlements into one city. At this time, the city was called Juvavum and was awarded the status of a Roman municipium in 45 AD, Juvavum developed into an important town of the Roman province of Noricum. After the Norican frontiers collapse, Juvavum declined so sharply that by the late 7th century it became a ruin. The Life of Saint Rupert credits the 8th-century saint with the citys rebirth, when Theodo of Bavaria asked Rupert to become bishop c. 700, Rupert reconnoitered the river for the site of his basilica, Rupert chose Juvavum, ordained priests, and annexed the manor Piding. He traveled to evangelise among pagans, the name Salzburg means Salt Castle. 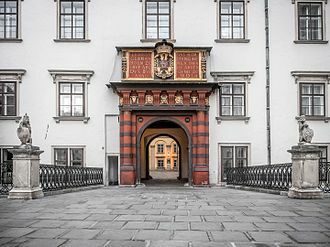 The name derives from the barges carrying salt on the Salzach River, the Festung Hohensalzburg, the citys fortress, was built in 1077 by Archbishop Gebhard, who made it his residence. 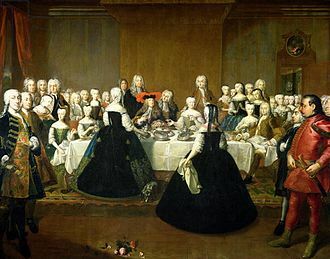 It was greatly expanded during the following centuries, independence from Bavaria was secured in the late 14th century. Salzburg was the seat of the Archbishopric of Salzburg, a prince-bishopric of the Holy Roman Empire, as the reformation movement gained steam, riots broke out among peasants in the areas in and around Salzburg. The city was occupied during the German Peasants War, and the archbishop had to flee to the safety of the fortress It was besieged for three months in 1525. Franz Joseph I or Francis Joseph I was Emperor of Austria and King of Hungary, and many others from 2 December 1848 until his death on 21 November 1916. 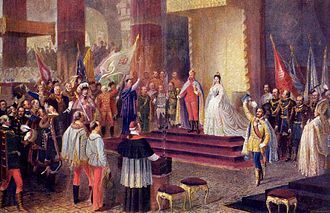 From 1 May 1850 to 24 August 1866 he was President of the German Confederation, in December 1848, Emperor Ferdinand abdicated the throne at Olomouc as part of Ministerpräsident Felix zu Schwarzenbergs plan to end the Revolutions of 1848 in Hungary. This allowed Ferdinands nephew Franz Joseph to accede to the throne, largely considered to be a reactionary, Franz Joseph spent his early reign resisting constitutionalism in his domains. Franz Joseph was troubled by nationalism during his entire reign and he concluded the Ausgleich of 1867, which granted greater autonomy to Hungary, hence transforming the Austrian Empire into the Austro-Hungarian Empire under his dual monarchy. After the Austro-Prussian War, Austria-Hungary turned its attention to the Balkans, the Bosnian crisis was a result of Franz Josephs annexation of Bosnia and Herzegovina in 1908, which had been occupied by his troops since the Congress of Berlin. On 28 June 1914, the assassination of his nephew Archduke Franz Ferdinand in Sarajevo resulted in Austria-Hungarys declaration of war against the Kingdom of Serbia and this activated a system of alliances which resulted in World War I. Franz Joseph died on 21 November 1916, after ruling his domains for almost 68 years and he was succeeded by his grandnephew Charles. His name in German was Franz Joseph I and I and his names in other languages were and Bosnian, Franjo Josip I. Ukrainian, Фра́нц Йо́сиф I, Francisc Iosif Slovene, serbian, Фрања Јосиф Franz Joseph was born in the Schönbrunn Palace in Vienna, the eldest son of Archduke Franz Karl, and his wife Princess Sophie of Bavaria. 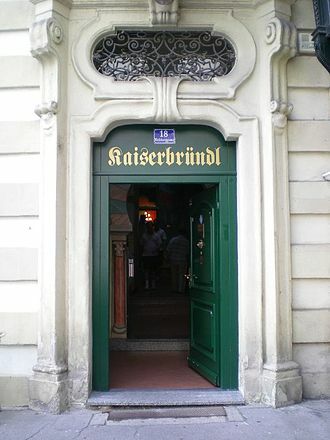 Franzl came to idolise his grandfather, der Gute Kaiser Franz, at the age of thirteen, Franzl started a career as a colonel in the Austrian army. From that point onward, his fashion was dictated by army style, Franz Joseph was soon joined by three younger brothers, Archduke Ferdinand Maximilian, Archduke Karl Ludwig, and Archduke Ludwig Viktor, and a sister, Maria Anna, who died at the age of four. He was born at Schönbrunn Palace in Vienna, the son of Archduke Franz Karl of Austria and his wife Sophie of Bavaria. 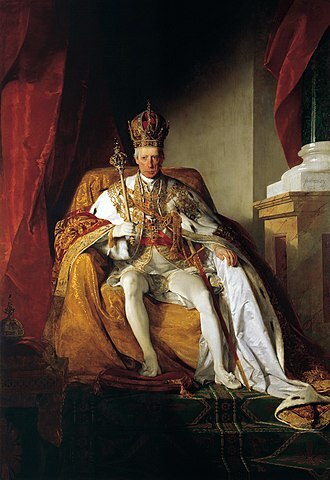 His siblings included Franz Joseph, Emperor of Austria and Maximilian and his mother ensured he was raised a devout Roman Catholic by the Vienna Prince-archbishop Joseph Othmar Rauscher, a conviction that evolved into religious mania in his years. 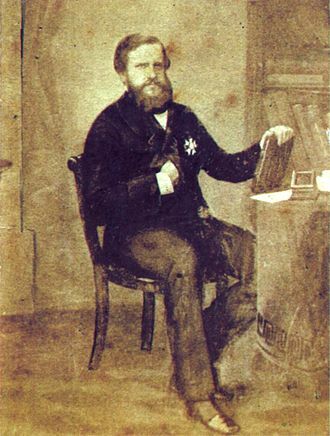 However, he found his authority to exert power restricted by the Austrian cabinet of his cousin Archduke Rainer Ferdinand and he finally laid down the office upon the issue of the 1861 February Patent for a life as patron of the arts and sciences. As the eldest surviving brother of the Emperor, Karl Ludwig, after the death of his nephew Crown Prince Rudolf of Austria in 1889, became heir presumptive to the Austro-Hungarian Empire. A newspaper article appeared shortly after the death of his claiming that the Archduke had renounced his succession rights in favor of his eldest son Franz Ferdinand. This rumor proved to be false and his first wife, whom he married on 4 November 1856 at Dresden, was his first cousin Margaretha of Saxony, the daughter of Johann of Saxony and Amalie Auguste of Bavaria. She died on 15 September 1858 and they had no children and they had four children, Archduke Franz Ferdinand of Austria he married Sophie, Duchess of Hohenberg on 1 July 1900. Archduke Otto Franz of Austria he married Princess Maria Josepha of Saxony (1867–1944 on 2 October 1886, Archduke Ferdinand Karl of Austria he married Bertha Czuber on 15 August 1909. Archduchess Margarete Sophie of Austria she married Albrecht, Duke of Württemberg on 24 January 1893, Maria Annunciata died on 4 May 1871. 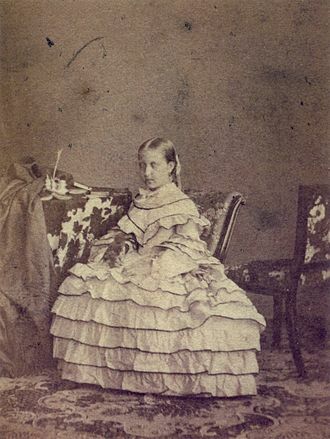 His third wife, whom he married on 23 July 1873 at Kleinheubach, was Infanta Maria Theresa of Portugal, daughter of Miguel I of Portugal and they had two daughters, Archduchess Maria Annunziata of Austria. Abbess of the Theresia Convent in the Hradschin, Archduchess Elisabeth Amalie of Austria she married Prince Aloys of Liechtenstein on 20 April 1903. Karl Ludwig died of typhoid at Schönbrunn in Vienna returning from a journey to Palestine and Egypt and his widow, Maria Teresa died on 12 February 1944. 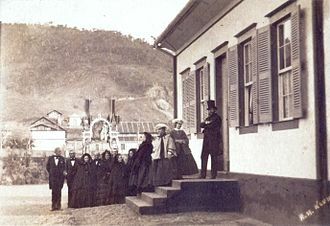 Maximilian receiving a Mexican delegation at Miramare Castle in Trieste. 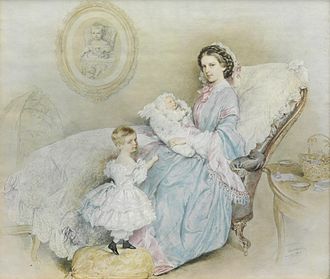 Painting by Cesare dell'Acqua (1821-1905). 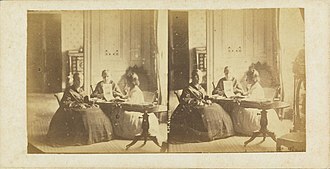 Isabel (center) surrounded by friends, c. 1860. 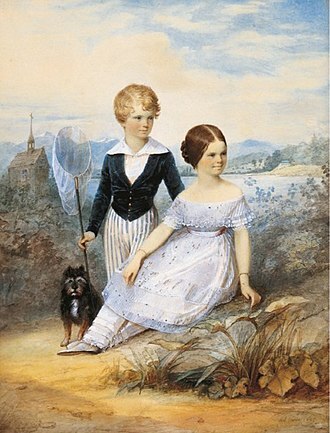 The small boy seated on the tree limb is Dominique (right), son of the Countess of Barral.